According to the present Constitution of Chile, the Senate is composed of thirty-eight directly elected senators, chosen by universal popular suffrage vote in 19 senatorial circumscriptions. These serve eight-year terms, with half of them being replaced every fourth year. They must be eligible to vote, have completed secondary school, or its equivalent, and be at least 35 years old. The current Political Constitution of the Republic of Chile, approved by Chilean voters in a controversial plebiscite on September 11, 1980, under the military dictatorship of Augusto Pinochet, partially effective March 11, 1981, fully effective 11 March 1990 and amended considerably on August 17, 1989 and on September 22, 2005 (legislatively), and also in 1991, 1994, 1997, 1999, 2000, 2001, 2003, 2007, 2008, 2009 and 2010, replaced the earlier constitution of 1925. It is Chile's eighth constitution. The Senate sessions at the new (1990) National Congress located in the port city of Valparaíso that replaced the old National Congress located in downtown Santiago, the nation's capital. Amendments to the Constitution, approved by a joint session of Congress on August 16, 2005, eliminated non-directly elected senators from March 11, 2006, the day 20 newly elected senators were sworn in, leaving the total number of senators at 38, all directly elected. Previously, according to the Constitution of 1980, "designated" or "institutional" senators were appointed to the chamber. Two former heads of state, Eduardo Frei Ruiz-Tagle and Augusto Pinochet, were installed as senators for life. Pinochet later resigned from this position and Frei lost his seat in the 2005 reform. However, Frei remained in the Senate by winning an elective seat. Eduardo Alfredo Juan Bernardo Frei Ruiz-Tagle is a Chilean politician and civil engineer who was President of Chile from 1994 to 2000. He was also a Senator, fulfilling the role of President of the Senate from 2006 to 2008. He attempted a comeback as the candidate of the ruling Concertación coalition for the 2009 presidential election, but was narrowly defeated. His father was Eduardo Frei Montalva, who was President of Chile from 1964 to 1970. Augusto José Ramón Pinochet Ugarte was a Chilean general, politician and US-backed dictator of Chile between 1973 and 1990 who remained the Commander-in-Chief of the Chilean Army until 1998 and was also President of the Government Junta of Chile between 1973 and 1981. The Senate of Chile was created in 1812 to support the formulations of policies of the Government Junta. Since then it has undergone several constitutional reorganizations that have altered the scope of its constitutional powers, its composition and the generation of its members. Created by Article 7 of the Provisional Constitutional Manual of 1812. It was composed of seven titular members (one for each province) and three alternate members and was supposed to serve as a counterbalance to the executive power of the Government Junta. The senators were directly nominated by the provinces in agreement with the central government. It functioned from November, 1812 to January, 1814, when it was reorganized to better respond to the problems caused by the successive military defeats at the hands of the advancing Spanish Army. Government Junta of Chile, also known as the Provisional Junta, was the political structure established to rule Chile following the Military Coup organized by Juan Martínez de Rozas and José Miguel Carrera. It lasted until replaced by the December Junta. Created by Article 13 of the Provisional Government Manual of 1814. As its predecessor, it was composed of seven titular members (only) nominated by the provinces in lists of three from which they were selected by the Supreme Director. It functioned from March to July, 1814, when the Spanish Army captured Santiago, putting an end to the Patria Vieja government. The Supreme Director of Chile was the seat in charge of Chile's administration following the independence from Spain in 1810, until 1826. Several juntas also ruled the country during this period. Created by Title III of the Constitution of 1818. It was composed of five titular members and five alternate members selected directly by the Supreme Director. It was supposed to function only when the lower house was not in function or could not meet, and had the power to enact "provisory rules" that had the same effect as laws (hence the "conservative" moniker, because it "conserved" the power.) It functioned from October, 1818 to May, 1822. -the 23 current senators whose seats expire in March 2026. Chile's government is a representative democratic republic, whereby the President of Chile is both head of state and head of government, and of a formal multi-party system that in practice behaves like a two-party one, due to binomialism. Executive power is exercised by the government. Legislative power is vested in both the government and the two chambers of the National Congress. The judiciary is independent of the executive and the legislature of Chile. The Constitution of Chile was approved in a national plebiscite in September 1980, under the military government of dictator Augusto Pinochet. It entered into force in March 1981. After Pinochet left power in 1988, saying this country was ready to keep going along with a plebiscite, the Constitution was amended to ease provisions for future amendments to the Constitution. In September 2005, President Ricardo Lagos signed into law several constitutional amendments passed by Congress. These include eliminating the positions of appointed senators and senators for life, granting the President authority to remove the commanders-in-chief of the armed forces, and reducing the presidential term from six to four years while also disabling immediate re-election. The Economist Intelligence Unit has rated Chile as "flawed democracy" in 2016. Eduardo Nicanor Frei Montalva was a Chilean political leader. In his long political career, he was Minister of Public Works, president of his Christian Democratic Party, senator, President of the Senate, and the 28th president of Chile from 1964 to 1970. His eldest son, Eduardo Frei Ruiz-Tagle, also became president of Chile (1994–2000). Fernando de Errázuriz y Martínez de Aldunate, also known as Fernando Errázuriz Aldunate, was a Chilean political figure. He served as provisional president of Chile in 1831. Jorge Alessandri Rodríguez was the 27th President of Chile from 1958 to 1964, and was the candidate of the Chilean right in the crucial presidential election of 1970, which he lost to Salvador Allende. He was the son of Arturo Alessandri, who was president from 1920 to 1925 and again from 1932 to 1938. Francisco Antonio Pascual de la Ascensión Ruiz de Tagle y Portales was a Chilean political figure. In 1830, he was briefly president of the country as Provisional President of Republic of Chile elected by Congress. A senator for life is a member of the senate or equivalent upper chamber of a legislature who has life tenure. As of 2016, five Italian Senators out of 320, three out of the 47 Burundian Senators and all members of the British House of Lords have lifetime tenure. Several South American countries once granted lifetime membership to former presidents but have since abolished the practice. 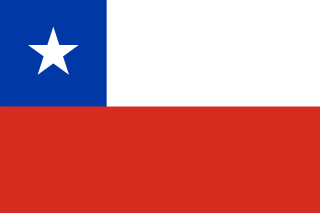 A constitutional referendum was held in Chile on 11 September 1980. The proposed new constitution would replace the 1925 constitution, and was approved by over two-thirds of voters. José Miguel Infante y Rojas was a Chilean statesman and political figure. He served several times as deputy and minister, and was the force behind the Federalist movement in that country. The Chilean transition to democracy began when a Constitution establishing a transition itinerary was approved in a plebiscite. From 11 March 1981 to March 1990, several organic constitutional laws were approved leading to the final restoration of democracy. After the 1988 plebiscite, the 1980 Constitution, still in force today, was amended to ease provisions for future amendments to the constitution, create more seats in the senate, diminish the role of the National Security Council and equalize the number of civilian and military members. The Ministry of the Interior and Public Security is the cabinet-level office of home affairs in Chile, in charge of "maintaining public order, security and social peace" within the country. It is also charged with planning, directing, coordinating, executing, controlling, and informing the domestic policies formulated by the President of Chile. As responsible for local government, the minister supervises all non-elected regional authorities. Fr. José Ignacio Cienfuegos Arteaga was a Chilean priest, Roman Catholic bishop of Concepción and political figure. He served twice as President of the Senate of Chile. The 1988 Chilean national plebiscite was a national referendum held on 5 October 1988 to determine whether Chile's de facto leader, Augusto Pinochet, should extend his rule for another eight years. The "No" side won with nearly 56% of the vote, thus ending the General's 16​1⁄2 years in power. The history of the Constitution of Chile dates from 1811. There were 10 constitutional texts and a draft for a federal organization in 1826. Its common elements are the unitary form of state and presidentialism as a form of government.